The men from the Met Office faced no easy task when they came on board the Sevenstones lightship from THV Galatea off the Isles of Scilly that day. 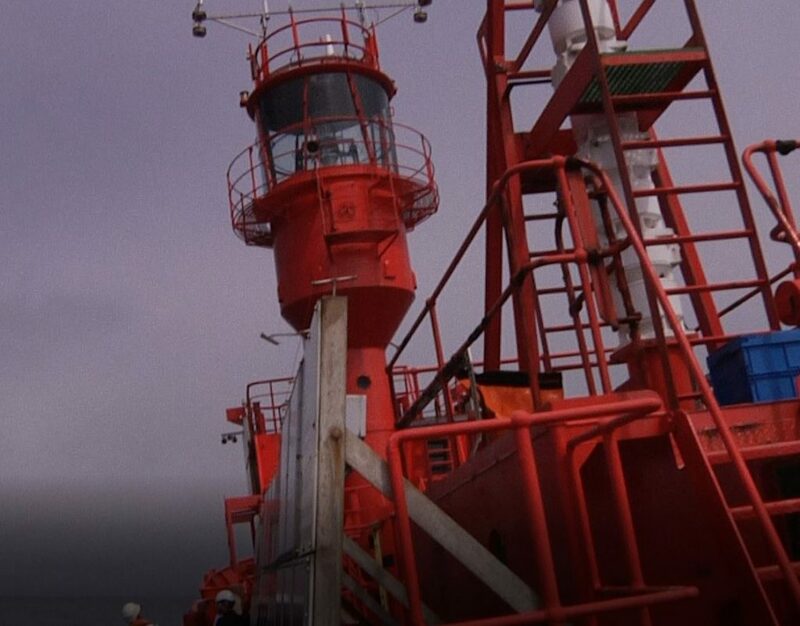 Their kit was housed right up next to the light itself (picture) – which can be seen for 15 nautical miles (a nautical mile is just over 2000 yards.) But being high up in the light made one Met Office lad’s task especially burdensome as he’s prone to seasickness, and the higher you go in a ship, the more pronounced the rolling and pitching – even on a nice day like the one we had. But he stuck to it and got the job done with his colleague. Bravo! He certainly looked mighty relieved on the quayside at St Ives where we were all dropped off at the end of our voyage.